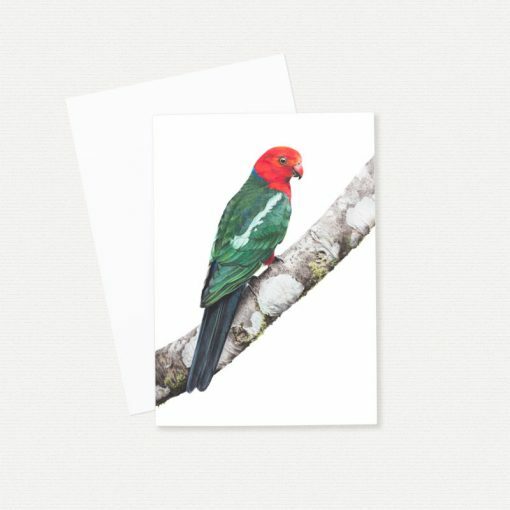 King Parrot greeting card (blank inside), 230gsm. King Parrot greeting card (blank inside). Australian King Parrots (Alisterus scapularis) are endemic to eastern Australia and are found in temperate rainforest and woodland areas. Their call has a distinctive squeaky swing like sound.